When you visit the Calvert County website, what works well? What makes you frustrated? This is your chance to tell us. Calvert County Government is evaluating its website, www.calvertcountymd.gov, as we prepare to update it later this spring. We need your feedback on areas that work well and on areas that need improvement. 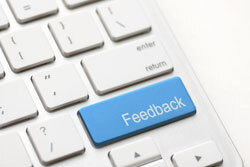 Please take our short online survey, give your input and help us improve the county government website user experience. Don’t Throw Away Those Delivery Boxes – Recycle!